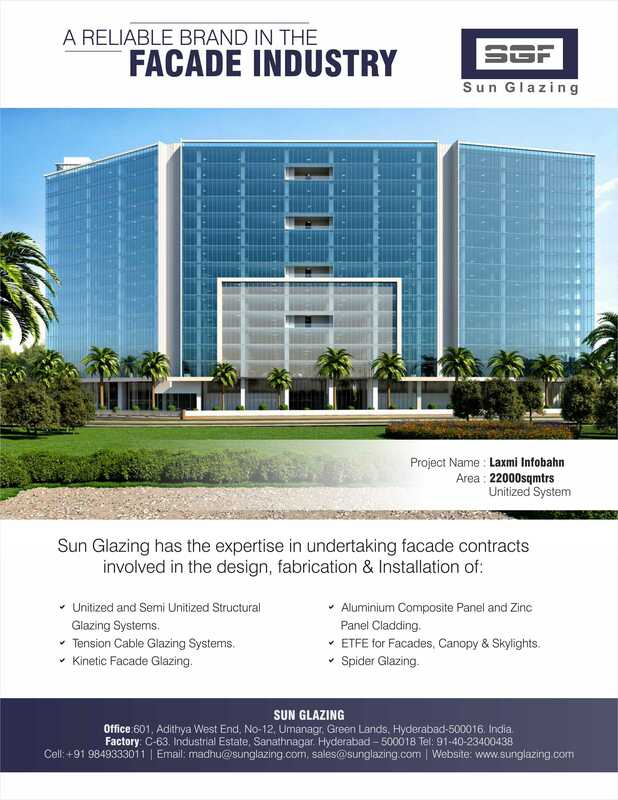 Sun Glazing was started as an ancillary involved in the factory Glazing works for various projects such as The Hyderabad International Airport, Deloitte, Hyderabad International Convention Center.. etc. Thereon from the year 2008 the company has been taking up Turnkey contracts for the Design, Supply & Installation of Structural Glazing & Facade Glazing works. The company over the years has built a Brand image for its consistent Reliability, Performance & Client satisfaction.